Yangon: Myanmar’s new president said on Tuesday over 8,000 prisoners will be freed in an amnesty, a move the government said would bring about humanitarian support amid the country’s political reforms after decades of military rule. 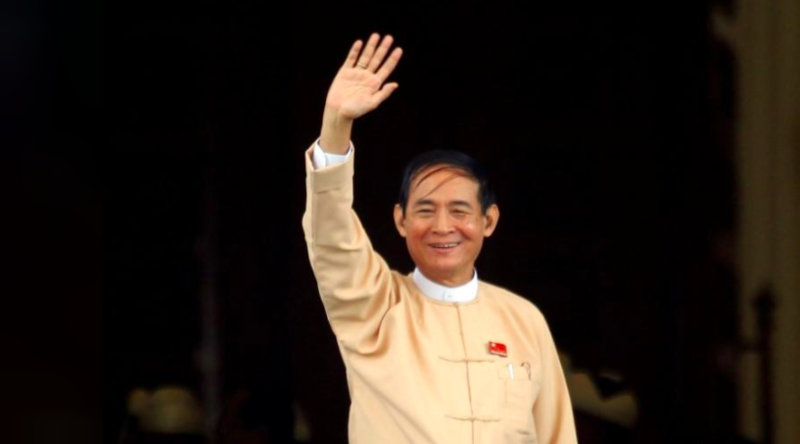 The presidential pardon, signed by newly-elected President Win Myint, said the move was aimed to bring peace as part of celebrations of the Myanmar new year. It did not specify when the amnesty would take place. “To bring peace and pleasure to people’s heart, and for the sake of humanitarian support, 8,490 prisoners from respective prisons will be given the pardon,” the Presidential Office said in a statement. Myanmar leader Aung San Suu Kyi has made ending near-perpetual civil war to bring national reconciliation her top priority. Her ruling National League for Democracy took office in 2016 amid sky-high expectations of greater freedoms after nearly half a century of military rule. Two Reuters reporters jailed in Myanmar were not included in the amnesty, according to Min Tun Soe, spokesman of Myanmar Prisons Department, citing ongoing legal proceedings. Over 6,000 prisoners who were sentenced under drug-related charges would be included in the pardon, according to a Facebook post by government spokesman Zaw Htay. Nearly 2,000 members of Myanmar’s military and police force, who were jailed under the Military Act or Police Disciplinary Act, would be freed, Zaw Htay wrote. He did not elaborate. He said a total of 36 prisoners on a rights watchdog list, the Assistance Association for Political Prisoners’ (AAPP), were also included in the amnesty. Hundreds of political prisoners have been released from Myanmar’s jails in amnesties in recent years, including dozens freed in April 2016, days after Nobel laureate Suu Kyi’s party took power following nearly 50 years of military rule. Myanmar’s constitution obliges Suu Kyi’s civilian government to share power with the powerful military, which controls key cabinet posts including law and order and security. “We submitted a list of 44 political prisoners and now 36 are released…This amnesty is very good news and we welcome and support it,” said AAPP’s Myanmar representative Aung Myo Kyaw. Suu Kyi, who spent years under house arrest, has said that releasing the remaining political prisoners was a top priority. Prior to Tuesday’s pardon, there were 240 political activists jailed or awaiting trial in Myanmar, according to AAPP. Suu Kyi has struggled to rebut criticism over slower economic growth and the stuttering peace process. Her government also faces mounting international condemnation for a military operation against Rohingya Muslims that has sent nearly 700,000 members of the minority community fleeing to Bangladesh.